UBMS Summer Component 2018 Poll - This is a resource that I could use with my students when deciding which topics interest them the most. This would help to better keep their attention during the summer and make the most impact with our program. It also could be used to help see where they would like to travel on our summer trip. ​Frog Dissection Quiz - This is a quiz that I would give to my UBMS students during our summer program. With this quiz, I am able to look at the results of the test and see what questions each student got wrong. I then can evaluate my next teaching methods to improve the class as a whole. 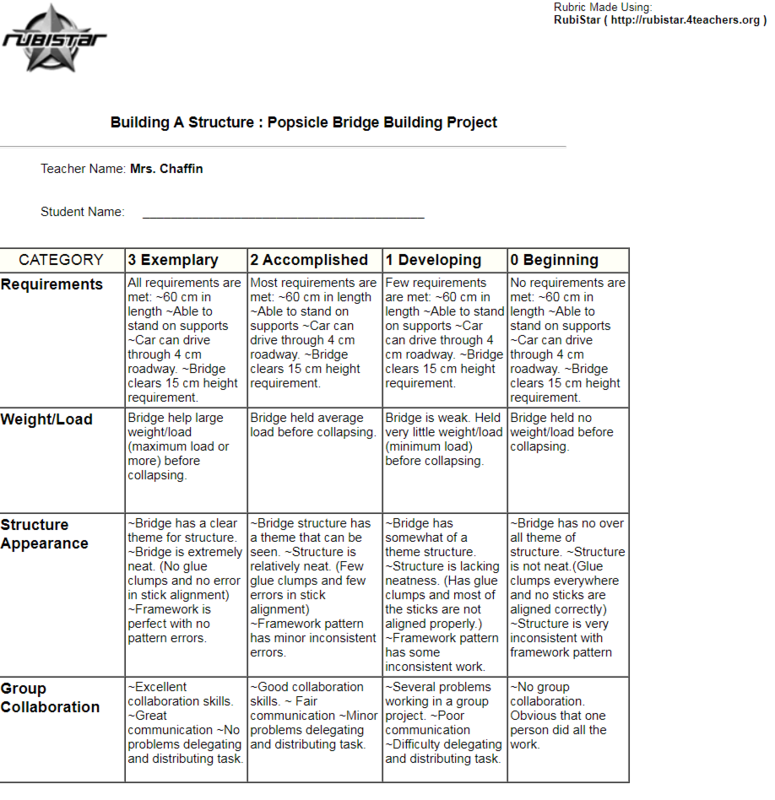 Popsicle Bridge Building Project Rubric - This rubric is an instruction sheet for my UBMS students to go by and grading instructions for the judges for this project. ​Poll Everywhere - This resource makes it easy to poll an audience in real time. VocabTest - Resource that makes it easy to make quizzes, worksheets, and test for vocabulary test. This resource allows you to track the success of how the students are doing. Rubistar - A quick and easy way to make rubrics.